At a time when some predicted the death of brick-and-mortar retail, lineups are common for popular product launches and temporary experiential activations in Canada. Over the past couple of years the country has witnessed a phenomena where hype leads to crowds, be it in a pop-up retail space or a limited edition product ‘drop’. At the same time, some retailers are saying that foot traffic is down in their stores, which is cause for concern. 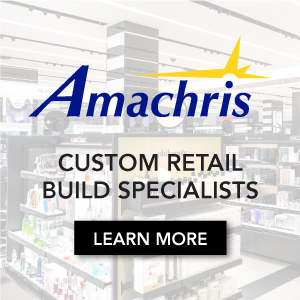 Consumer preferences are changing, and new retail concepts continue to enter the market. Competition has never been fiercer for brick-and-mortar retail, not to mention growing online sales. People react to product and time scarcity in unique ways — if something is considered to be desirable and limited, the ‘hype’ created can lead to an increase in adrenaline. What results is heightened experiences that are more likely to be memorable, which is an opportunity for brands to build bonds and sell product. 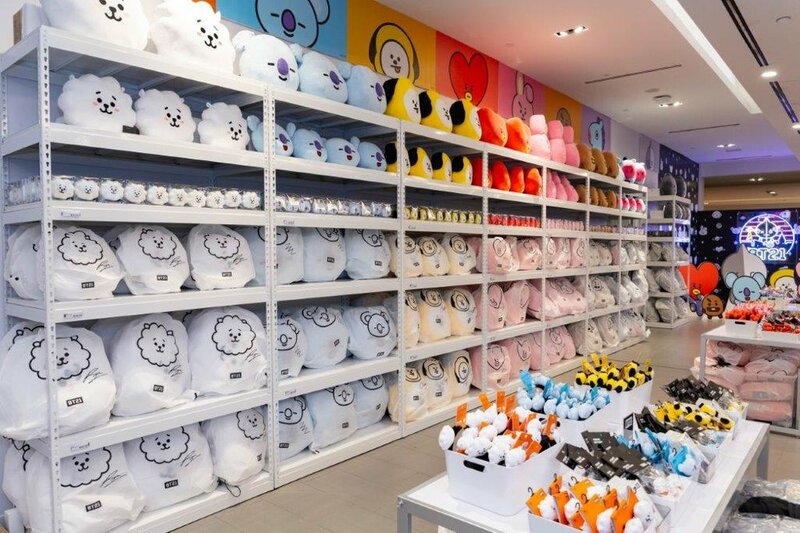 One of the most-hyped retail activations in 2018 was the launch of BT21 pop-up at Scarborough Town Centre in early December. Brand fans clamoured to buy limited-edition merchandise from the South Korean boyband — the pop-up was so successful that it sold out of all merchandise in two days, and had to be shut down temporarily to re-stock the store. It was the first time that BT21 was available in Canada, made possible by a partnership with Bravado and LINE FRIENDS — the latter featuring 11 characters originally created for use as stickers on mobile messenger app LINE (which boasts more than 200-million active users worldwide). Similar pop-ups took place in New York City and Los Angeles, where thousands lined up for a chance to buy. It isn’t just pop-up retail that sees lineups, however. Limited-edition ‘product drops’ can draw crowds, be it a special release t-shirt from Uniqlo, or the latest sneaker release in a retailer such as the Jordan Brand store at 306 Yonge Street in Toronto. Creating hype is an art form in some respects, and Hilary Kellar-Parsons of brokerage Avison Young explained how the scarcity of ‘time’ and ‘product’ can be formulaic to draw crowds seeking out experiences, including photo opportunities that can be posted on social media such as Instagram. Ms. Kellar Parsons was the broker who negotiated the deal for Happy Place at Toronto’s Harbourfront Centre, which launched in November and runs through until Sunday January 27. 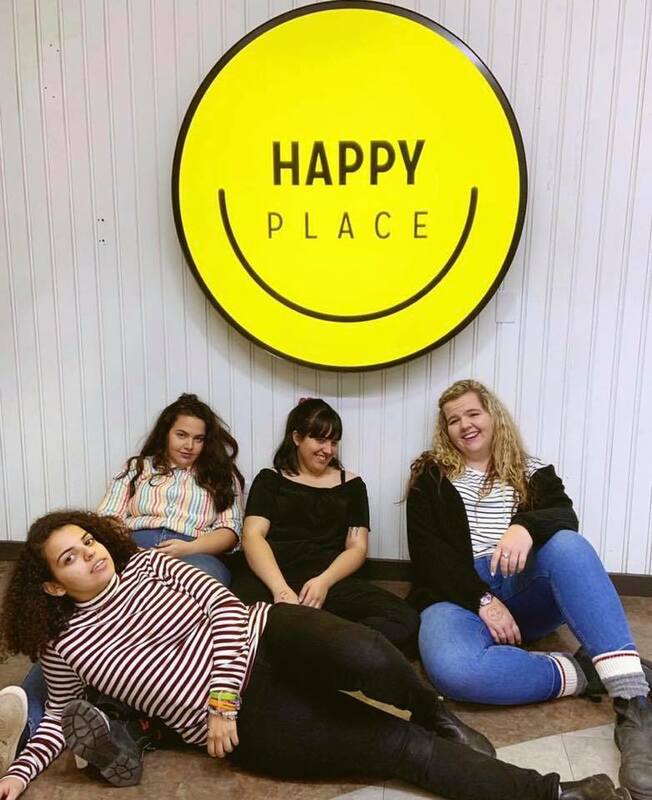 Happy Place is essentially a whimsical pop-up experiential activation that encourages photos and fun, and the formula can also translate to hype for retailers, provided that they create engaging physical experiences. “Millennials and Gen Z are seeking out experiences according to studies, and if you create an engaging physical environment, they will come to a physical store rather than shop online,” said Ms. Kellar-Parsons. “The in-store experience is more important now than ever, especially with the popularity of social media platforms such as Instagram”. The Museum of Illusions, which opened on Front Street in Toronto’s St. Lawrence Market area in the fall of 2018, is an example of an activation that is already seeing tremendous results. Nick Goddard, President of Portage Design Group Inc., discussed the highly interactive 4,700 square foot space which has seen more than 40,000 visitors since November. Mr. Goddard’s firm designed the Museum of Illusions, and he explained how it is both entertaining as well as an educational experience. As a result, it is a destination for diverse groups ranging from grade school science classes to corporate team-building exercises. “One of the reasons it is successful is because the intent is to spend time in the space and have fun. It’s not just about being separated from money”. If retailers are able to incorporate some of the successful elements into their retail spaces, it may help drive traffic and increase sales. Mr. Goddard noted that the small gift shop area at Museum of Illusions does remarkably strong sales, partly due to heavy visitor traffic. 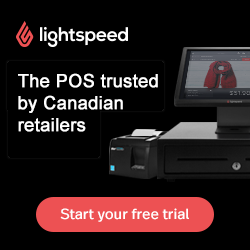 "The perception of ‘scarcity,’ be it for a time period or a product, can be used by retailers to drive sales and build brand engagement,” said Linda Farha, Founder and ‘Chief Connector’ of pop-up go, which is a pop-up retail facilitator that has activated spaces across Canada as well as in the United States. “The emotion associated with the idea of a fleeting product not only makes the experience memorable, it can also create an emotional bond to brands that can carry over well after a pop-up ends or a product sells-out,” she said. The demand for pop-up retail space is unprecedented, according to Ms. Farha, who has had to hire more staff in order to keep up with the demand. In 2017, pop-up go partnered with landlord Bentall Kennedy to activate eight individual retail spaces in downtown Oakville, Ontario, with terms ranging from three days to three months. Then, in 2018, the company partnered with Ivanhoé Cambridge to bring pop-up shops to the company’s Mills centres in Toronto, Calgary and Vancouver. Several weeks ago on Christmas Eve, pop-up go facilitated a pop-up for candy brand Skittles, which was open for only one hour. The ‘scarcity’ aspect resulted in substantial lineups, as hopeful customers tried to secure one of the limited number of Skittles-themed gifts and freebies awaiting them inside the storefront. Pop-up retail can be pricey, and retailers budgeting for activations may look to utilize marketing budgets rather than funds typically used in brick-and-mortar retailers. Setting up a pop-up store is said to cost 80% less than a permanent location, though some brands invest heavily in the pop-up experience. In the fall of 2018, for example, Google hosted a pop-up at 202 Queen Street West in Toronto which, while intended to be experiential, was created to promote the Google Pixel phone which boasts camera functions atypical of most smart phones. “Over the past year and a half, we have had tremendous success with pop-ups at 202 Queen Street West,” explained Joseph Gatto of Chestnut Park Realty and owner of the unique multi-level 202 Queen Street West property. “We expect to host more in 2019 and are talking to some major brands looking to create unique, temporary experiences,” he said. David Ian Gray, consultant and retail strategist/founder of Vancouver-based DIG360, believes that the future for many long-term retailers will be inclusive of temporary in-store activations. “All retailers should consider pop-ups from a strategic level” said Mr. Gray, noting that even luxury brands are in on the temporary retail phenomenon. He predicted that 2018 would be “the year of the pop-up” and it appears that he was correct, with momentum that is ongoing into 2019. Mr. Gray explained how pop-up retail is becoming more sophisticated. “Pop-ups were originally intended for brands to engage with customers, and successful retailers quickly co-opted the idea,” he explained. “We expect to see department stores use pop-up retail in order to activate spaces and create buzz, which isn’t something typically seen in traditional large format retailers,” he said. Shopping centres, too, are looking to create hype through temporary brand activations. Toronto’s Yorkdale Shopping Centre, operated by Oxford Properties, launched a permanent space dedicated to pop-ups called CONCEPT in the spring of 2017 and it has since seen several buzzy activations from a wide range of vendors. Landlords Cadillac Fairview, Ivanhoé Cambridge and others are now utilizing the pop-up model — Linda Farha’s pop-up go partnered with Ivanhoé Cambridge to launch pop-up retail spaces at the landlord’s three ‘Mills’ shopping centres in Canada, for example. Landlords in ‘secondary’ malls are also activating spaces in order to draw-in consumers seeking out experiences as well as limited-edition products. Prior to opening permanent stores, plenty of brands have launched by utilizing pop-ups — two Vancouver brands immediately come to mind, including ‘technical cashmere’ brand Kit and Ace and custom suit maker INDOCHINO. Memories of stores such as Sears Canada provide contrast to hyped concepts such as ‘Happy Place’ — Sears stores were often dowdy and with a typical range of product, and one of the reasons it may have fallen out of favour with consumers is because the store wasn’t “interesting enough”. It would be unlikely that Millennials would visit such a store to post photos on social media (unless irony was involved, that is). One traditional department store retailer that is utilizing pop-up retail more-and-more is Hudson’s Bay. This week the Toronto-based retailer launched ‘The 7’ at its Queen Street flagship (we’ll be heading over soon to see it for ourselves). 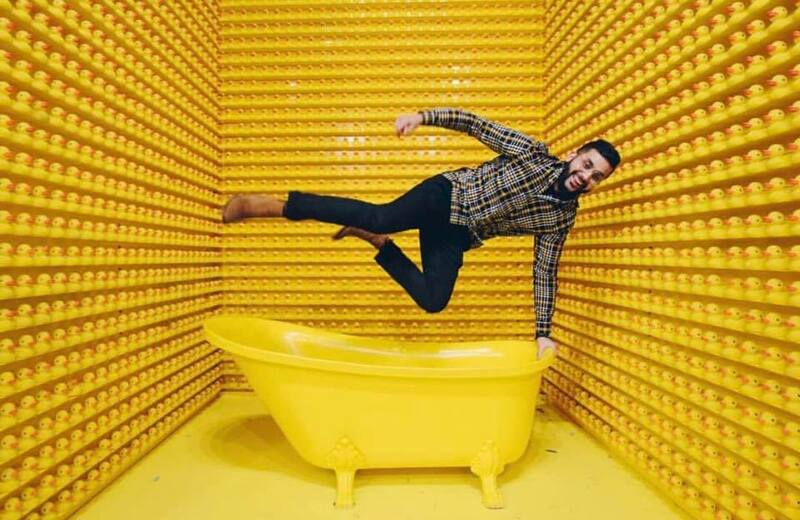 The new experiential space, located on the store’s seventh floor (which will eventually be tenanted by WeWork) features eight unique ‘Instagramable’ rooms filled with colour, art and 3D visuals. Other recent pop-up initiatives have included New York City-based toy retailer FAO Schwartz, which opened pop-ups in Hudson’s Bay stores nationally for the Christmas season. Stores were immersive with kids and even adults playing with and testing toys, no to mention posing with the larger than life displays. In 2017, Hudson’s Bay introduced its ‘Discover This’ pop-up series which featured new brands and products that changed every three months. There have been five to-date, including Emerging Japanese Designers, Luxe Athleisure, Canadian Designers and currently, a showcase of Australian Designers. These pop-ups will continue in 2019, according to Hudson’s Bay.